It’s hard to find many co-operatives with the kind of practical sophistication and visionary ambitions as CIC – the Catalan Integral Cooperative – in Spain. 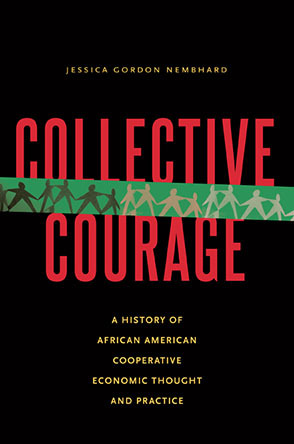 CIC describes itself as a “transitional initiative for social transformation from below, through self-management, self-organization, and networking.” It considers the state unable to advance the public good because of its deep entanglements with market capitalism — so it has set about building its own working alternatives to the banking system and state. Many skeptics might scoff at the brash, utopian feel of this initiative. But in many respects, Faircoin is the ultimate realism. CIC correctly recognizes that the existing monetary system and private banks pose insuperable barriers to reducing inequality and ensuring productive work and wealth for all. The only “realistic” alternative to existing fiat currencies and foreign exchange is to invent a new monetary system! Fortunately, thanks to the pioneering examples of Bitcoin and other cryptocurrencies and the evolving powers of software, that idea is actually within reach these days. CIC intends to use Faircoin to help build a larger ecosystem of economic institutions in the coming months. Here is a backgrounder piece on Enric Duran’s thinking. Faircredit, a worldwide mutual credit system for exchanging goods and services via Faircoin. Fairfunds, a group of faircoin donation vehicles for various types of projects. The funds currently include the Global South Fund, the Commons Fund and the Technology Infrastructure Fund. Faircoop wallet: a linked P2P multisignature wallet. Fairmarket, a source of faircredit to people who use faircoin. Inventing a new global monetary system is – let us concede – unprecedented. But after twenty years of living in networked culture, it’s also safe to say that “the experts” never anticipated crazy ideas like Linux, wikis, social networking, Bittorrent, open design and manufacturing, 3D printing or Bitcoin, let alone that millions of users would adopt such innovations with breathtaking speed. What really needs adjusting is our imagination and courage. So why not a commons-based currency and financial system that meets the need for fairness, human development and ecological care? The digital tools are mostly available. They just haven’t been deployed smartly enough; on a sufficient scale of social participation; and in a non-capitalist manner. There will surely be missteps and errors along the way, but that’s the point — to succeed faster by failing faster. If the many alt-economic movements were to join in this experiment in D.I.Y. monetary systems, lots could be learned rapidly. And there could be serious payoffs for the commons, social justice, free knowledge, ecological recovery and political participation — without having to beg (unsuccessfuly) for such basic entitlements through a corrupted political and policy system. By donating to faircoin funds.